The old adage is true: we only protect what we love, and we only love what we know. So getting to know rivers is important. 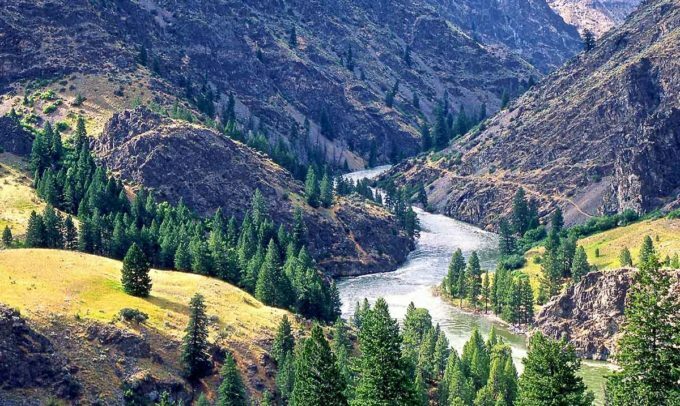 This is a guest post by Tim Palmer, award-winning author of 19 books about rivers, conservation, and adventure travel, including America’s Great River Journeys. There are lots of ways to do that—from simply reading a story or seeing a picture to actually living near the water’s edge—and they can all be satisfying, reveling, and compelling. But going there, floating with the current, and traveling wherever the river takes us may be the best way to know the wonders of our waters and to appreciate the values they offer to all of us. I’ll go a step further: river trips are among the best things in life. Rivers wind and plunge as pathways of adventure, of exploration, and of nature, and river trips offer a view that we just don’t get through the windshield. You have to go! 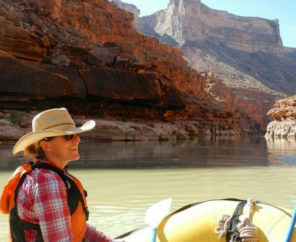 Part of the fascination for river trips comes simply from the joy that they offer to all. And it’s not just about us. Rivers are home to fish and wildlife, and in traveling on these waterways we can see that they intertwine whole landscapes, regions, and states. Let gravity do the work on the river of our choice! Easily taken for granted, our floating on the current is a pleasure unlike any other. We drift without effort, as if airborne in slow motion flight above the rocks and terrain beneath us. This can be done in utter silence and relaxation as we watch the river bottom and shorelines go by, and there’s something special and serene about doing that for not just a moment or an hour, but for days. 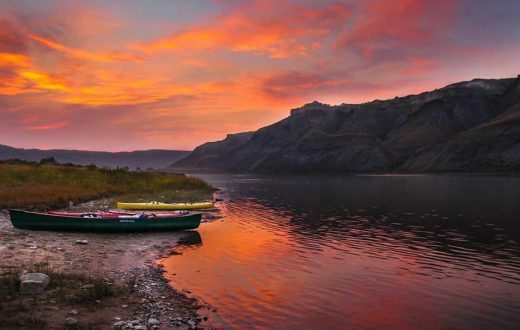 Rivers deliver us to both rugged canyons and scenic valleys, to wilderness that’s untouched and also to the nation’s esteemed heritage of historic landmarks. In their timelessness, the currents of today can take us back in time. 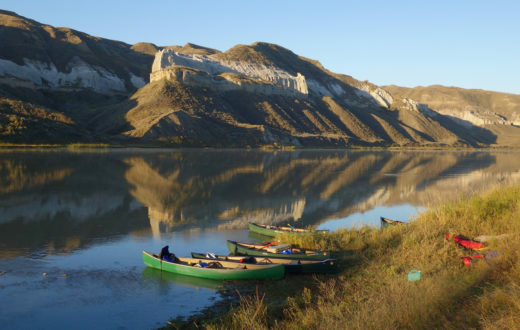 On the water and away from the road, we can imagine the past by following the paths of Native Americans and the explorations of Lewis and Clark. 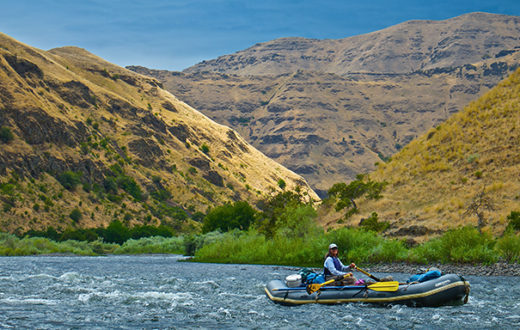 River trips offer visions not just to the past and present, but also to the future. A fate without strong connections and visceral attachments to the natural world would be doomed. By joining the flow and appreciating its beauty, we make those connections. We embrace those attachments. River trips are microcosms of life itself with its mix of security and risks, comforts and hardships, escapes and returns. These trips are something we can do with family, friends, like-minded people, total strangers, and all the above. Being out there, and connected in a common endeavor, we work together, share the duties and rewards, and get to know each other under conditions that not only allow, but require it. Rivers come from mountain or upland sources and they swell to grand finales at the edge of the sea. In between—if we’re willing to go—they sweep us up in journeys to the heart of America. 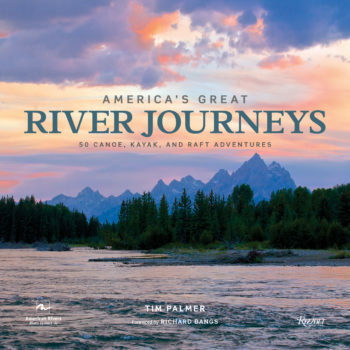 — Published in association with American Rivers, Tim Palmer’s new book, America’s Great River Journeys, features 50 of the finest river trips in America. See it at www.timpalmer.org, or at www.rizzoliusa.com/book/9780847861736. A tool kit for influencing federal agency management plans, securing administrative protection for rivers.